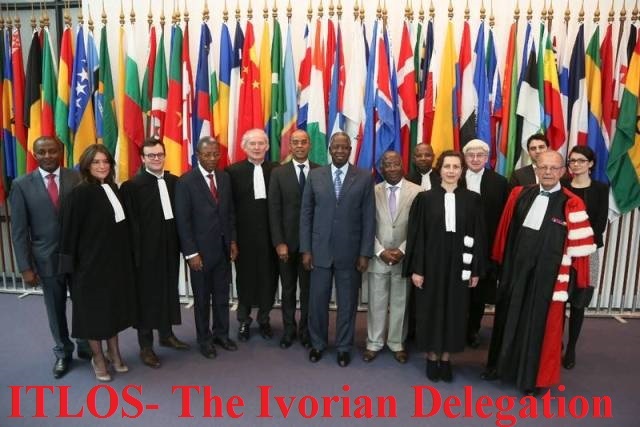 They relied on the decision of the first case brought before ICJ [the 1969 North Sea Continental shelf case- Federal Republic of Germany/Denmark; Federal Republic of Germany/Netherlands). 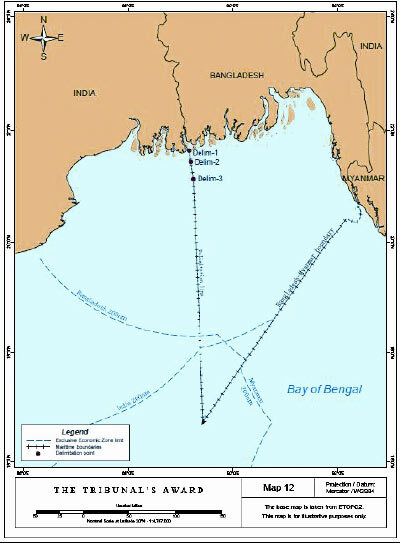 ], where the ICJ minimised the importance of the median/equidistance line of article 6 of the 1958 Continental Shelf Convention, and emphasized the equitable principle as customary international law on delimitation. Through this case, equidistance rule, ceased to be a principle and became merely one method among others. But the Court commented that it “has never been doubted that [this] method of delimitation is a very convenient one”and that “it would probably be true to say that no other method of delimitation has the same combination of practical convenience and certainty of application.” In these Briefs, we attempt to consider in abstract, the rulings/commentaries on the following cases: Bay of Bengal; the USA and Canada; Guinea/Guinea-Bissau; and not least, the Cameroon/Nigeria Case. India Case not considered. Concavity will not always be taken into consideration, but “…when an equidistance line drawn between two States produces a cut-off effect on the maritime entitlement of one of those States, as a result of the coast, then an adjustment of that line may be necessary in order to reach an equitable result.”  However, it did not consider that St Martin’s Island, a “significant maritime feature by virtue of its size and population and the extent of economic and other activities“, which the ITLOS had awarded its own 12 NM territorial sea, warranted an adjustment of the provisional equidistance line; nor would the Bengal depositional system, being the “physical, geological and geomorphological connection between Bangladesh’s land mass and Bay of Bengal” be a relevant circumstance to be taken into consideration either. 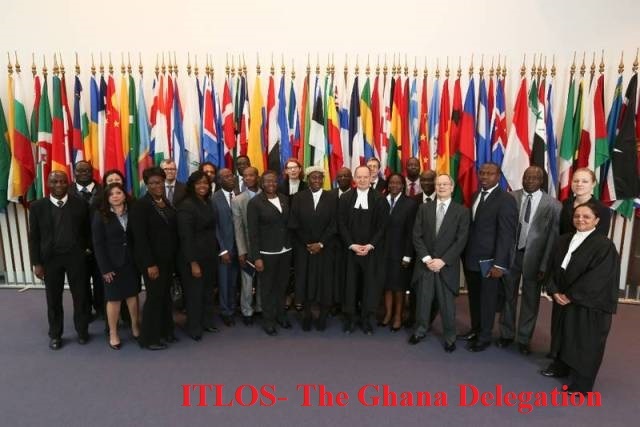 The ITLOS then endorsed the third stage in the methodology for maritime delimitation. At this third stage, a tribunal must ascertain whether the delimitation line leads to “an inequitable result by reason of any marked disproportion” between the ratio of the relevant coastal lengths and the maritime areas of the respective States parties. This tends to be a fairly general test that one side has not been treated inequitably, rather than a substantive analysis of whether a ratio is “proportionate“. The Tribunal itself considers that the equidistance method is just one among many and there is no obligation to use it or give it priority, even though it is recognised as having a certain intrinsic value because of its scientific character and the relative easy with which it can be apply. 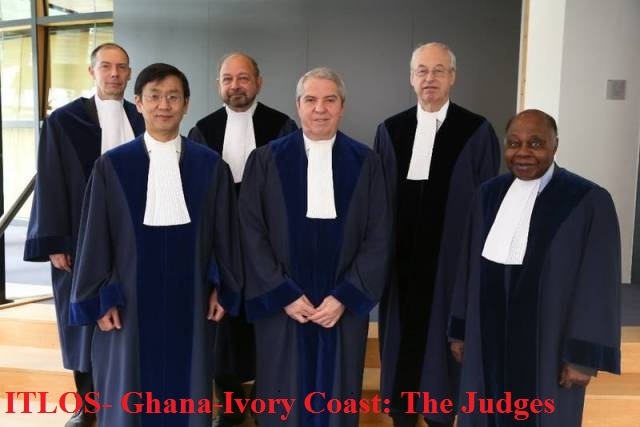 After carefully examining the general direction and configuration of the coastline, the Tribunal observed the existence of special circumstances, such as the concave coasts of the States, if taken the whole configuration of the West African coast and the presence of some islands. Taking into account these circumstances and the situations of adjacency, it rejected to apply the equidistance method, as it would yield an inequitable result. In 2002, the ICJ gave judgment on the maritime boundary between two adjacent States of Cameroon and Nigeria. Applying the Guinea-Bissau reasoning the Court said that “[…] for the delimitation of maritime zones beyond the 12 mile zone it would first provisionally draw an equidistance line and then consider whether there were circumstances which must lead to an adjustment of that line.”  For the delimitation of the territorial sea, the Court found valid international agreement between the States- leaving it with the delimitation of the EEZ and CS of the States Parties. So what could be the prophecies of this “go-to-court-go-to-court Ghana-Ivorian Rifts be? In this article, we have sought to consider the following: (a) Geology and geomorphology; (b) Socio-economic circumstances; (c) Conduct of the States; (d) The interest of third States and security (political) consideration; and (e) Historic title. It also acknowledged that the existence of special circumstances might lead to an adjustment of the provisional equidistance line. But empirical case studies also illustrate that after carefully examining the general direction and configuration of the coastline, a tribunal might acknowledge the existence of special circumstances, such as the concave coasts of the States, if taken the whole configuration of the West African coast and the presence of some islands. The promises or the prophecies are that taking into account these circumstances and the situations of adjacency, a Maritime Special Court had also rejected to apply the equidistance method, as it could yield an inequitable result. Prescott V and Schofield C. The maritime political boundaries of the world . 2005. P. 216. Convention on the Territorial Sea and Contiguous Zone. Done at Geneva, on 29 April, 1958. Land and Maritime boundary between Cameroon and Nigeria (Cameroon v. Nigeria; equatorial Guinea intervening). Judgment of 10 October 2002-Merits. Hereafter: 2002 Cameroon/Nigeria Case. Maritime delimitation and territorial questions between Qatar and Bahrain (Qatar v. Bahrain). Judgment of March 2001 – Merits. Hereafter: 2001Qatar/Bahrain case. Case concerning delimitation of the maritime boundary in the Gulf of Maine area (Canada/United States of America). 12 October, 1984. Hereafter: 1984 Gulf of Maine Case. Land and Maritime boundary between Cameroon and Nigeria (Cameroon v. Nigeria; equatorial Guinea intervening). Judgment of 10 October 2002-Merits. Hereafter: 2002 Cameroon/Nigeria Case., Par. 289.